Deliver technology to the point-of-need while improving workflow and increasing accuracy. 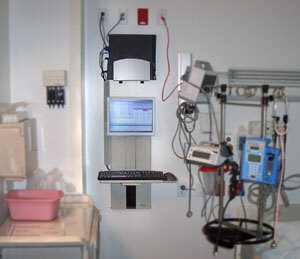 Place your computer system wherever patient data is accessed. The Vertical Lift minimizes space requirements and maximizes personnel efficiency. 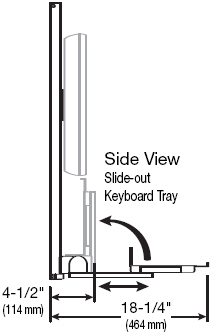 Slide-out Keyboard Tray can extend out an extra 5" (125 mm) for comfortable data entry. With the keyboard folded up, total system depth is as little as 4.5" (114 mm). 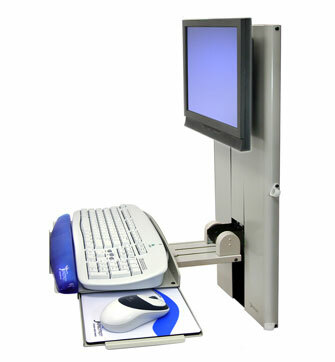 Patented counterbalance system provides smooth adjustment while maintaining touch-screen stability. 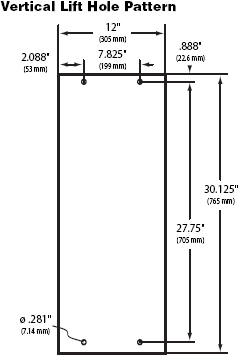 9" (229 mm) vertical adjustment enhances ergonomics for multiple users. Steel construction for long-lasting durability.